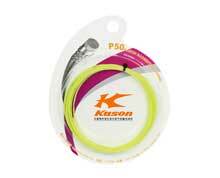 Kason badminton string in orange. 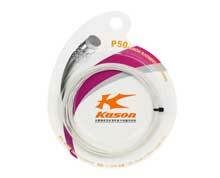 Single roll for one badminton racket - 10m / 33’. Extensively used by top international players. A 0.68mm diameter badminton string with titanium hydride coating that provides the perfect blend of durability and repulsion power. A heat-resistant, high intensity nylon fiber core and braiding layer combined with a unique multi-rotation braiding technology provides unrivaled performance. 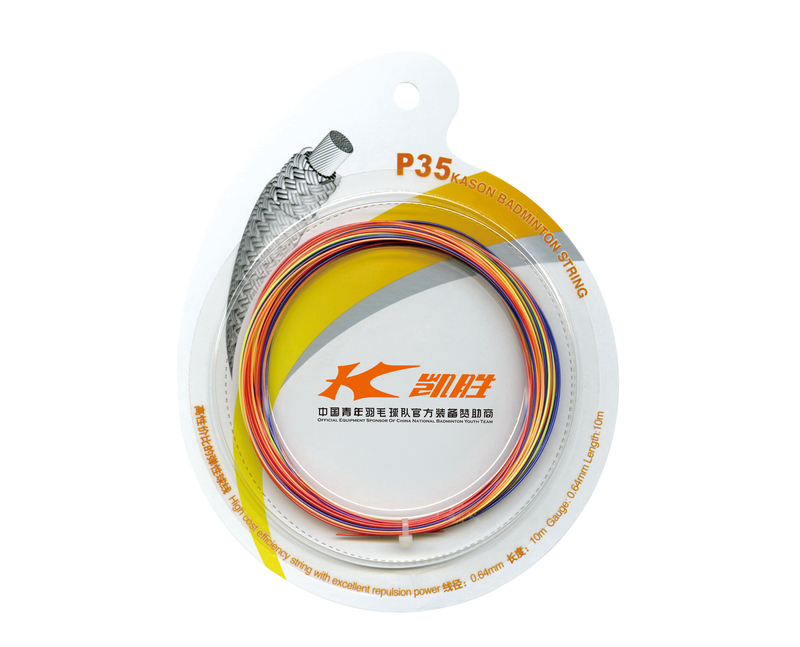 The P-35 badminton string delivers a firm, hard hitting sound and feel. 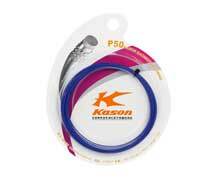 This 0.68mm badminton string is said to be one of the best, if not the best on the market!